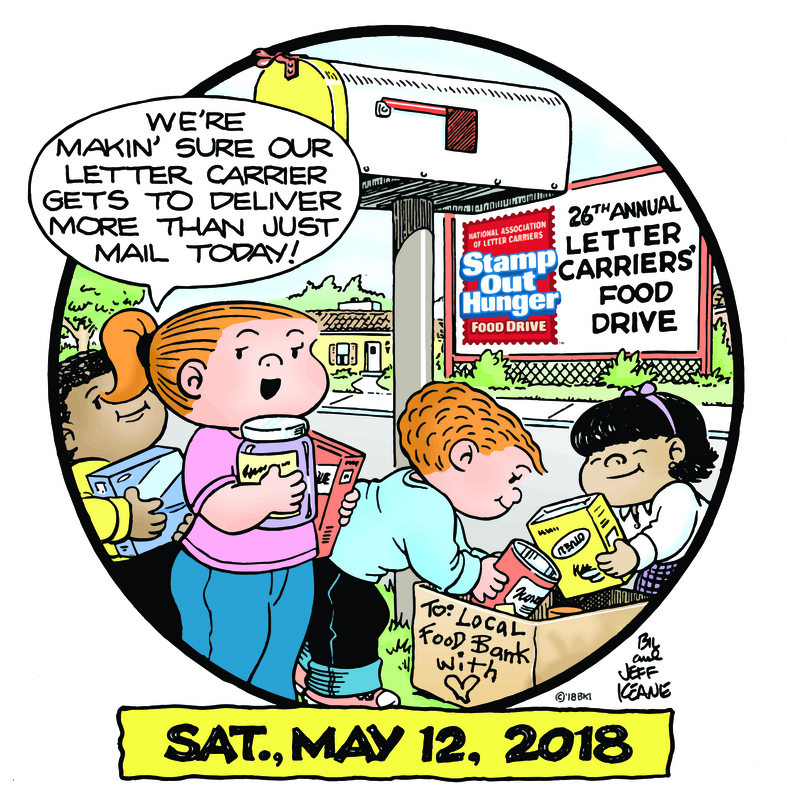 05/04/2018 - The APWU National officers are asking members to actively support the 26th Annual National Association of Letter Carriers (NALC) Stamp Out Hunger Food Drive on Saturday, May 12. 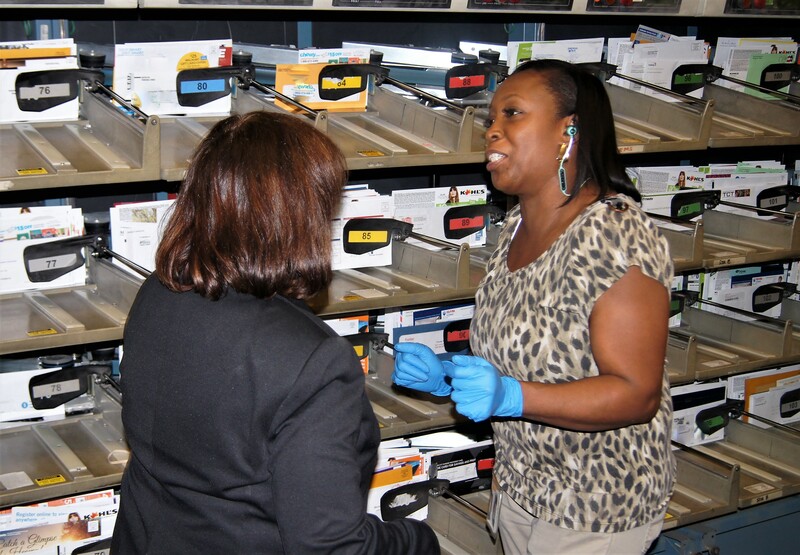 Contrary to the Postal Service’s claims that post offices have less foot traffic than other national retailers, the United States Postal Service is truly the nation’s leader in service. 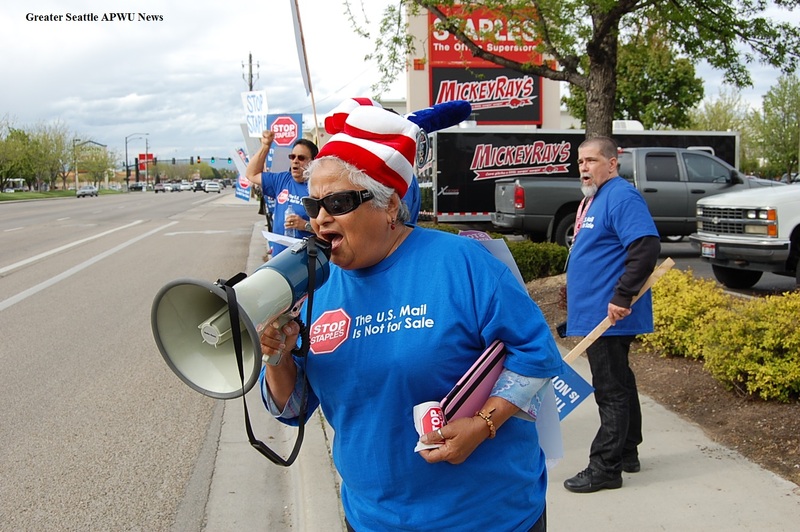 Postal workers assist customers at more than 30,000 retail outlets across the country, which is about as many locations as McDonald’s, Starbucks and Walmart combined, according to a recent Office of Inspector General (OIG) report. 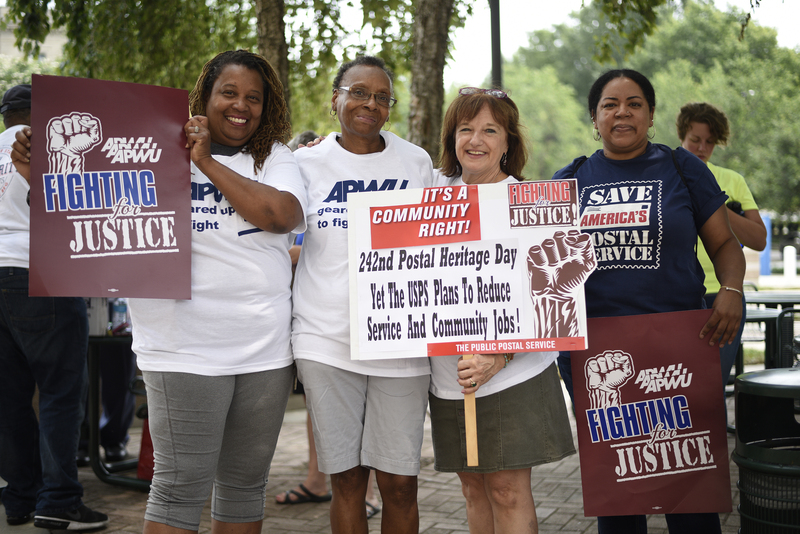 Charlotte Area Local Research & Education Director Shenita Bost, Charlotte Area Local member Roxanne Graham, APWU Vice President Szeredy and Charlotte Area Local Legislative Director Cindy Foster at a protest against job and service cuts in Charlotte, NC. 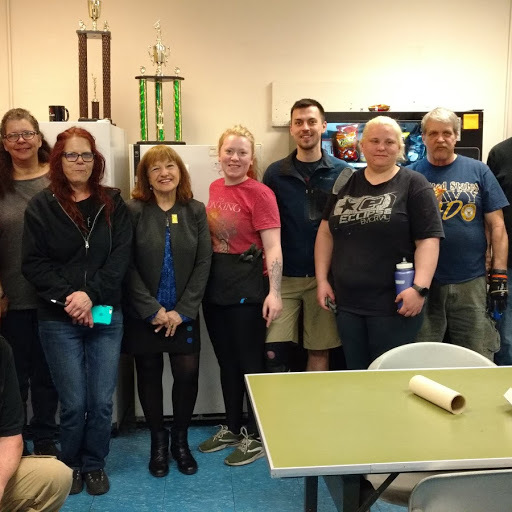 As the APWU gears up for negotiations and continues to address service cuts and proposed staffing reductions, excessing and reassignments, you and I need to be engaged not only with our coworkers, but with our families, friends, allies and communities.